Mega Sale! Save 26% on the Royal Paper Products RPPS730 Regular Stainless Steel Sponge, Polybagged, 1.50 Oz, 12 Pk, 144/ct by Royal Paper Products at Blog Free Here. MPN: ESSEN13386. Hurry! Limited time offer. Offer valid only while supplies last. Features. 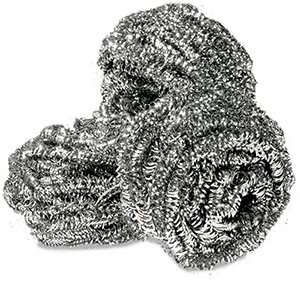 Regular Stainless Steel Sponge. Use to remove bakedon food from pots baking dishes ovens and grills. Will not rust splinter or corrode. If you have any questions about this product by Royal Paper Products, contact us by completing and submitting the form below. If you are looking for a specif part number, please include it with your message.